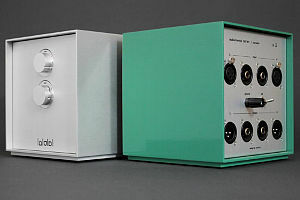 Düsseldorf (Germany), 15 March, 2019 – Technical Audio Devices Laboratories, Inc. (TAD) announces the European launch of the E1TX speaker system and M1000 power amplifier, as new editions to TAD’s acclaimed “Evolution” series. 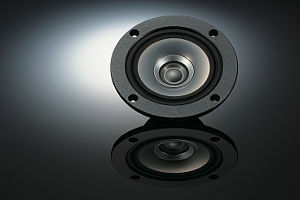 The E1TX is a further evolution of the ME1 “Micro Evolution One” — which achieves playback with excellent sound field reproduction and audio image localization over a broad frequency range that exceeds expectations for its compact body size — finished into an imposing yet dignified-feeling floor speaker system. The M1000 power amplifier seeks to enhance the overall system aesthetic by adopting a design that matches that of the D1000mk2 disc player and DA1000 Digital/Analog convertor. The M1000 comes in a choice of two colors: black or silver. With revisions to the design of its voltage amplification circuitry and power supply grounding, and the adoption of new components, this amplifier delivers further improvements to the high-speed and innovative sound quality already offered by the Evolution series. says Jürgen Timm, Marketing Director Europe of TAD. 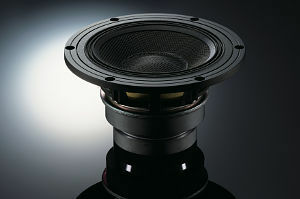 The unique TAD 9cm CST driver adopted for use in the E1TX was designed to align the midrange and tweeter sound source positions to make the midrange diaphragm work as part of the tweeter waveguide. This design homologizes the phase and directional characteristics of midrange and tweeter sounds at the crossover, achieving natural attenuation characteristics and ideal directional patterns over the entire frequency range. The midrange-woofer crossover is set at 420Hz, in order to achieve a natural sound field and good image localization during playback. For the tweeter diaphragm, TAD has used beryllium, making optimal use of its highly rigid and lightweight properties to deliver excellent high-frequency characteristics and crystal-clear sound playback. The midrange diaphragm utilizes magnesium for its high internal loss, to eliminate coloration inherent to the material and reproduce pure midrange sounds with low distortion. In order to achieve rich, clear and faithful bass reproduction with no coloration, TAD has adopted a 16cm Multi-layered Aramid Composite Cone woofer diaphragm incorporating laminated woven aramid fabric and other non-woven materials. The voice coil utilizes a highly-rigid titanium bobbin which provides highlevel heat dissipation characteristics to ensure power linearity, thereby achieving faithful diaphragm response. The woofer is also equipped with a Linear Drive Magnet Circuitry that increases the linearity of its drive and support systems. Combined with an optimized bass-reflex enclosure and powerful driving force delivered by a large ferrite magnet, this enables the woofer to reproduce clear, deep bass sounds without distortion. The E1TX features slit-shaped ports located on both sides of the enclosure. Positioning horn-shaped forward and backward facing openings at the front and rear of the enclosure that lead to the ports themselves helps to drive the ports smoothly and efficiently. This design reduces port noise at high amplitude and prevents the leakage of low-order internal standing waves from the ports, eliminating the strong adverse effects of these waves on woofer-frequency sound playback and producing clear, quick response mid-low frequency range sound characteristics. The forward-backward and left-right symmetrical layout of these Bi-Directional ADS ports also cancels out forces that would vibrate the speaker enclosure, enabling deep and powerful bass sound reproduction. 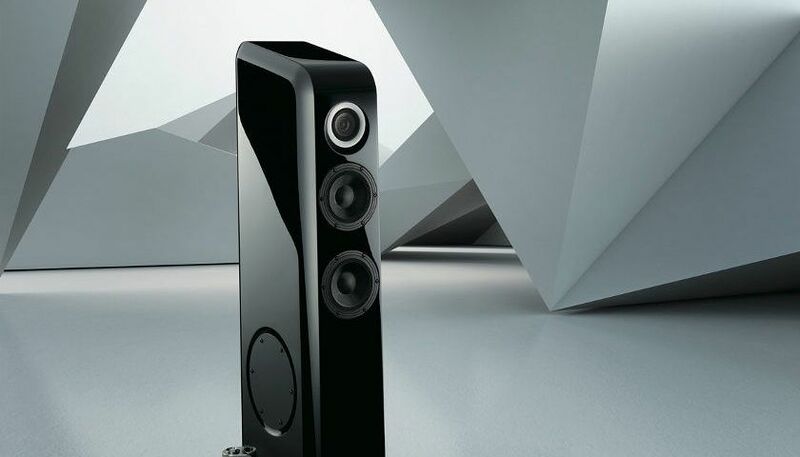 TAD’s existing ME1 and CE1 speakers have already been well received due to their excellent sound field reproduction over a wide range of frequencies, exceeding expectations for their size due to the inclusion of this technology. With the increased internal volumetric capacity of its floor-type design, the E1TX floor speaker system seeks to achieve superior sound field reproduction over an even wider range of frequencies. The baffle surface of the enclosure is inclined at an angle of 3 degrees in order to align the sound source positions of the CST and woofer units, increasing the accuracy of sound field reproduction in a floor-type double woofer system. The enclosure baffle edges are also more greatly rounded in order to reduce the effect of diffraction around the CST unit, with the acoustic axis of the CST unit installed at such an angle that it directly faces the listener. Moreover, by analyzing standing waves inside the enclosure and selecting and effectively positioning optimal sound absorption materials, it has been also reduced internal standing waves, which have an adverse effect on sound image and sound field reproduction. The network filters for the CST and woofer units are placed inside the bottom of the enclosure, and completely acoustically isolated from the main unit enclosure. This design prevents the network filters from being affected by high-level sound pressure inside the woofer and CST driver cabinets, preventing acoustic excitation of network filter elements and enabling clear and undistorted sound reproduction. The bottom of the enclosure is fitted with two 15mm-thick baseplates, machined out of solid aluminum plate. Polymer resin plates sandwiched between the baseplates and the enclosure itself help to suppress vibration of the baseplates themselves, while a total of three floor spikes (two for the front baseplate and one for the rear) enables stable installation that is unaffected by the type of flooring material upon which the unit is placed. The main unit is slanted at a 3-degree angle, and the unit’s center of gravity is positioned optimally for three-point support, resulting in a structural design that solidly accepts the reaction from the woofer unit’s powerful driving force. By adopting a design that matches that of the D1000mk2 disc player and DA1000 D/A converter, TAD has given the M1000 power amplifier a finish that is fitting to the agility, high-definition and high-level sound quality of the Evolution series. The amplifier is available in a choice of two colors — silver and black — making it easy to choose the best match for the usage environment. Dual Logic-Circuit Technology for Enhanced Symmetry The M1000 adopts Dual Logic-Circuit Technology, enabling accurate driving of the speaker diaphragms by ensuring that positive and negative electric current supplies are exactly the same, and ensuring symmetry in all other respects, including circuit-type and structural aspects. The amplification circuitry adopts a BTL-type design in which two completely independent amplifiers (from the input terminals to the output terminals) are connected via a balanced connection. The power supply circuity is designed such way that not only negative and positive power supplies are symmetrical, but all power supply circuit channels are independent, including power supply transformer, rectification circuitry and stabilization circuitry. In terms of structural aspects, the M1000 adopts a dual mono structure which considers identicalness in terms of power transformer positioning, circuit board pattern configurations and even wiring length. The M1000 achieves isolated mounting by adopting a three-point support structure using built-in spike insulation. 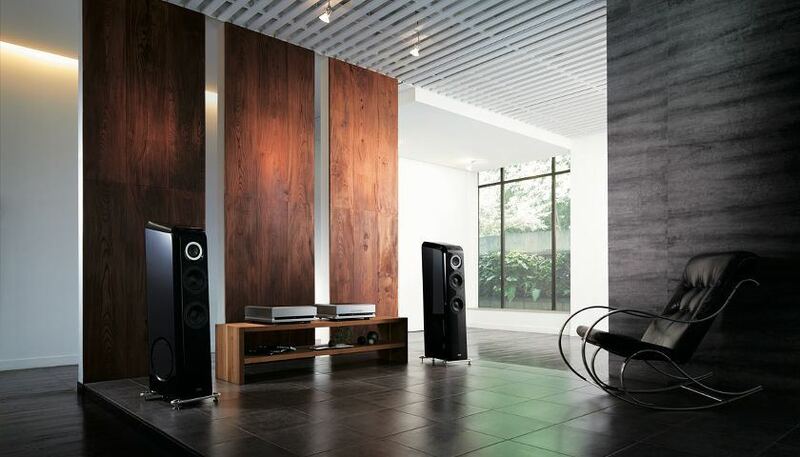 By clarifying load points, reducing the effect of vibrations from the floor, and enhancing isolation performance, these functions have improved the power, clarity and amount of information contained in the sound produced. 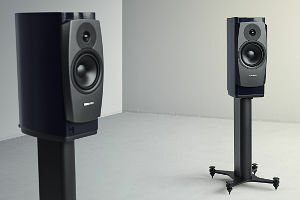 It is also equipped with the same robust, high-grade, large-sized speaker terminals used in TAD’s Reference series, which serve to reduce stress on speaker cables connected to the rear side of the amplifier is rack-mounted. 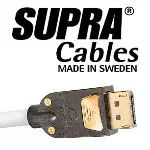 By improving mechanical and electrical connection stability, the M1000 enables maximum effective utilization of the owner’s high-grade speaker cables. The amplifier’s Class D output stage employs a power MOSFET (metal-oxide- semiconductor fieldeffect transistor) which eliminates lead terminals and boasts ultra-low on-resistance. This achieves high-efficiency power characteristics with power usage rates of 90% and above, conveying energy from the power supply directly to the speakers. 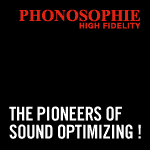 The leadless power MOSFET offers low-loss, highspeed performance, and adopts a simple single configuration which also contributes to achieving sharper sound quality. High-Capacity Power Supply The M1000 adopts a transformer-dropper type which is unaffected by switching noise, and increases the power supply’s signal-to-noise ratio. It also utilizes a 1kVA-class toroidal power supply transformer which utilizes high-quality electromagnetic steel, which helps to reduce energyconversion loss through strong coupling between primary and secondary-side coil windings. The rectification circuitry consists of a large-capacity 33,000μF electrolytic capacitor (developed specifically for TAD) and high-speed Schottky barrier diode configuration, which helps to support the speedy and dynamic sound quality delivered by the Class D amplifier. The M1000 is equipped with Bi-Amp functionality which achieves improved separation characteristics, eliminating interference between units by enabling direct connection between each speaker unit and each amplifier. This enables users to take full advantage of the original true performance of both the speakers and the amplifier itself and enjoy crystal clear, undistorted sound reproduction. TAD grew from the spirit to discover technologies to perfectly reproduce the pure sound of live performances with uncompromising craftsmanship. They are devoted to sophisticated technology and pride ourselves on creating each unit by hand as part of our relentless quest for perfection. 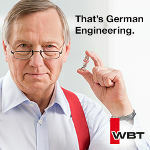 TAD constantly introduces leading-edge products that put the latest technologies and materials to work for you. The company continue to design our products in Japan, and have maintained the durability that keeps them going through years of use. They also emphasize the artistic nature of our products, fusing original and professional technologies with high-quality materials. By designing for all areas, from professional audio equipment for recording studios to theaters, to home audio equipment and in-car entertainment systems, TAD are expanding our scope so that you can enjoy TAD sound throughout your life.